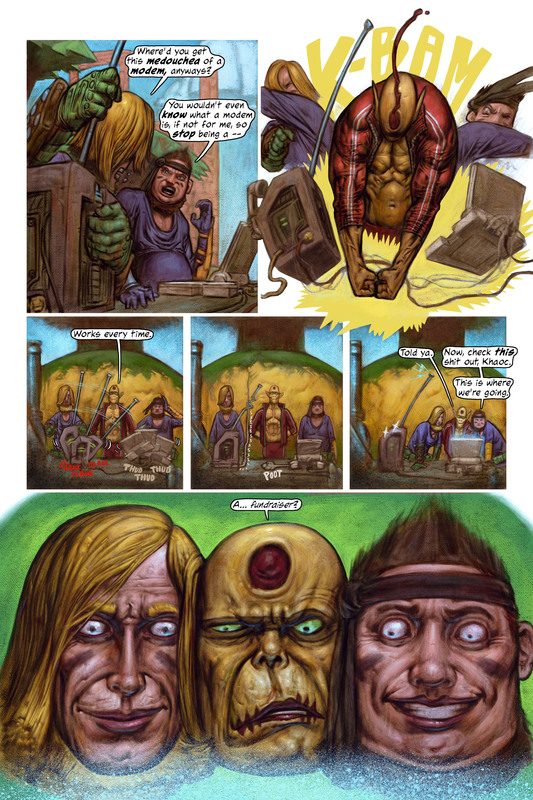 Big Clean, page 6, issue 6, pg 5. Here’s a few pics of Khaoc from latest page (haven’t added mask yet). Can’t seem to make the time for new Aftermath stuff… But, I’m always working on something! Here are the fruits of my labor, over the past couple weeks. It’s meager, I know… but I honestly don’t have the time right now. You’ll recognize a lot of this stuff from the (bad)taster, below. Here’s a technique I’ve been working out behind the scenes for a long time. It’s all traditional (the way I prefer). I think I’m close to the point where I can use it to do all future Aftermath work. Just need to try and apply it, now. This is a buff dude in what’s left of a Walden prison uniform. This is what Khaoc looks like during The Big Clean (and maybe for long after – haven’t decided)… except Khaoc is skinnier, hehe.